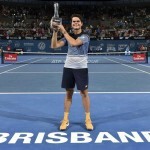 Big-serving Canadian Milos Raonic stunned an out-of-sorts Roger Federer to win the Brisbane International 6-4, 6-4. Raonic, 25, broke the 17-time Grand Slam champion once in each set to win the final, only his second win over Federer in 11 meetings. Federer, who had been improving every round after starting the tournament with a slight illness, was no match for Raonic, who served powerfully and came to the net at every opportunity. 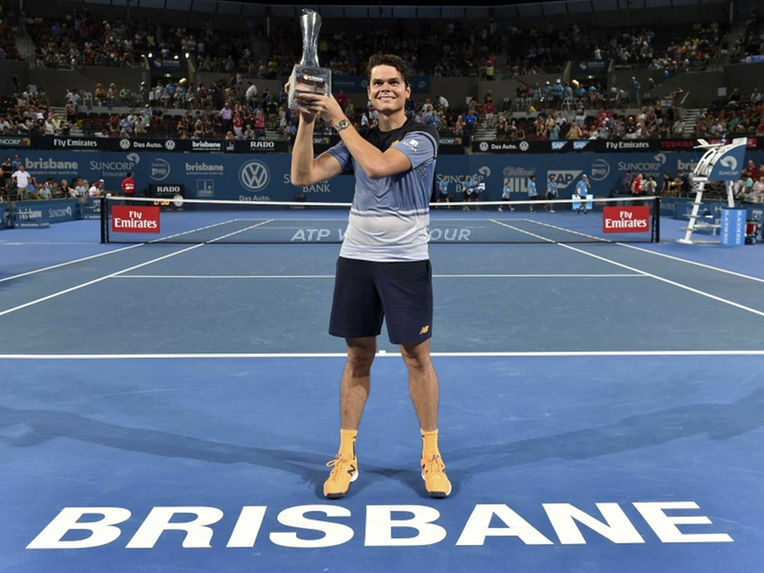 The win gave Raonic his eighth title on the ATP tour and reversed the result of last year’s final, won by 34-year-old Federer in three tight sets. Federer was off his game throughout, serving at only 55 per cent and struggling to make any impression on the big-hitting Canadian. Raonic took a medical timeout at 2-1 in the second set to have treatment on his right leg.